The Story of the Red spots. 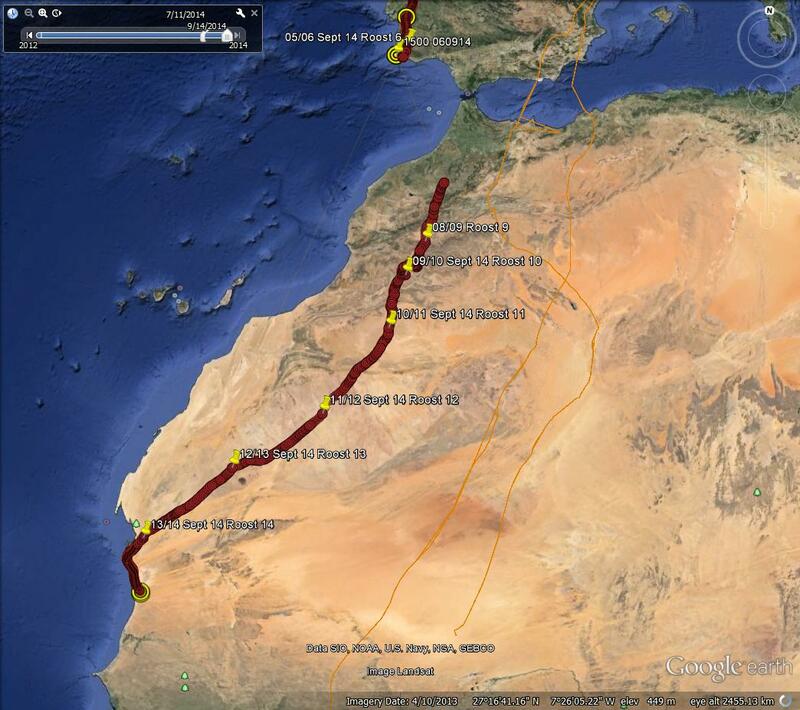 We now have two young ospreys in Africa. 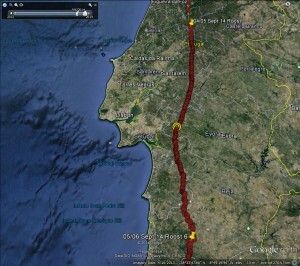 The red spots to the top right of the map show the route of Number 15 in 2013. It sadly stopped in the Sahara Desert on the 4th October 2013. 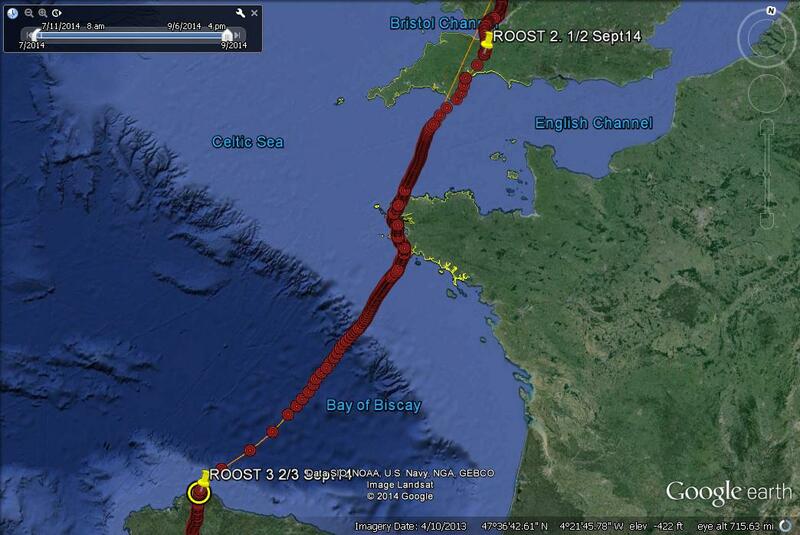 The middle line of red dots show the route taken by Number 14 on his way to Bioko where, yesterday, he was still roosting and fishing as young birds do. The line of red dots to the left is of this year’s youngster 8A. A month ago he left Bassenthwaite and after giving us a bit of a fright in Portugal, has made it as far as Senegal – and beyond. It probably means that his migration has now finished but he now has the task of finding a suitable place to spend his time for the next few years, much as Number 14 did. He seems to be taking his task seriously as he has over the last few weeks taken a look at Gambia, Guinea Bissau, other parts of Senegal, dipped a toe into Guinea – for about twenty minutes – and is now on the borders of Mali and once again Mauritania. It may seem that going inland, away from all that nice coastal fishing isn’t the most brilliant thing for a young osprey to do. He is, however, at the head of the great Niger River and therefore, hopefully, not short of water of fish. 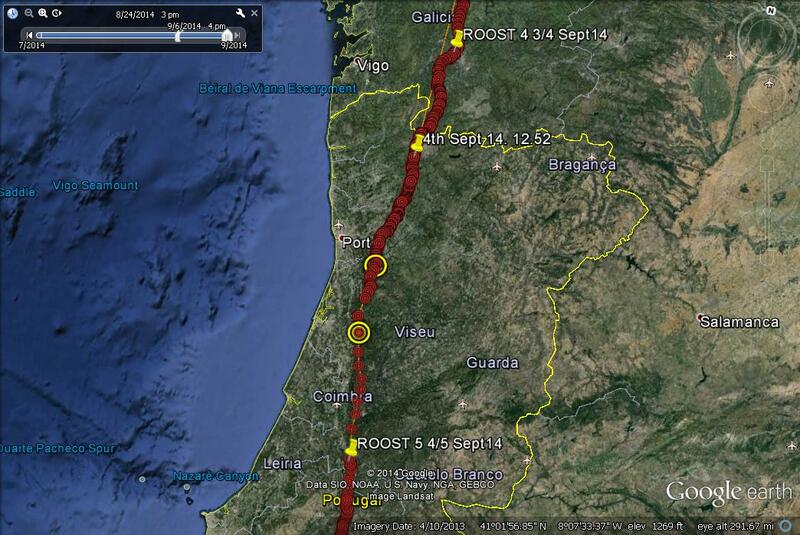 He is also as it happens about a hundred miles west of where Number 14 was on the 24th September 2013. The question is where to next? The north and the serious Sahara would not be wise. 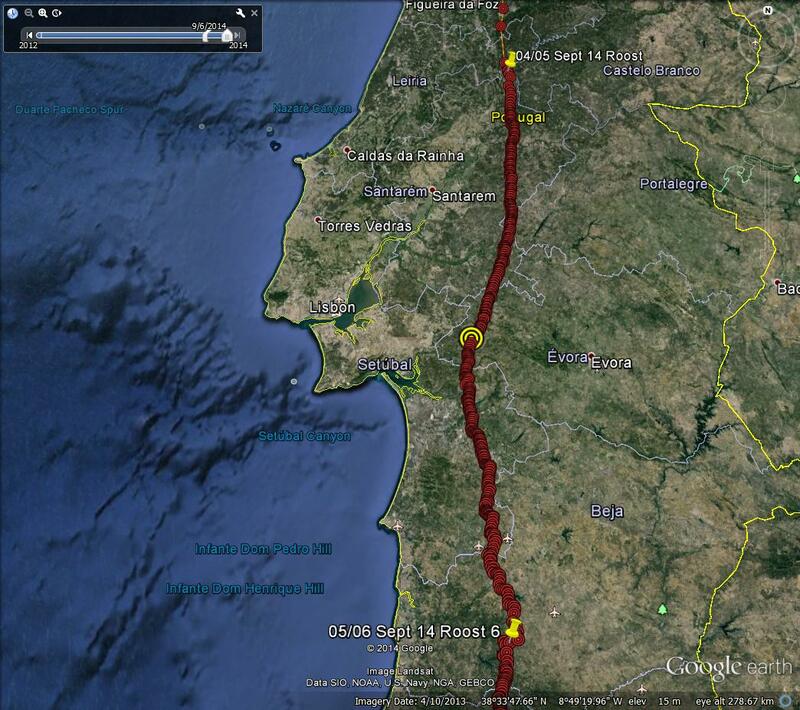 South-east following the river…..interesting! 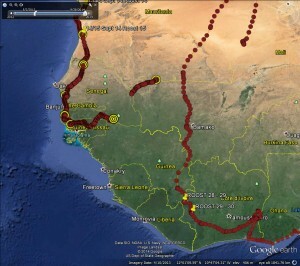 Back west along the Senegal River, another possibility. Number of countries covered so far….12. Please ignore the gap in 8A’s line, he didn’t go underground. It’s the technology it doesn’t quite catch up, a bit like the writer. We are very sad to write that 9A, despite the best of care and attention at the SPCA centre in Scotland has not made it. It was always a long shot that he would gain enough strength to attempt to fly. Since his arrival he did not seem to make much progress, although he had gained weight. However, this might have eventually resolved itself had he not fallen ill this week with an intestinal infection. As we were warned at the onset of his rescue gut infections are common in birds after a history of sickness at a young age, and, as in this case, are nearly always impossible to treat. We would like to thank the Vets and Carers at both Millcroft and the SPCA for their time and effort spent looking after him. Certainly, there will be few wild creatures that have had that level of medical care and expertise. 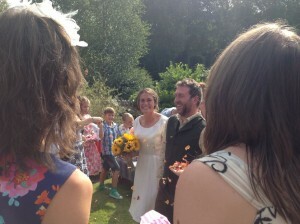 One of our staff team, Christina Turtle was recently married to her long term partner Mark Cardwell in a very personal and moving ceremony in the South Lakes. Christina has been with the LDOP since 2007, and returned in many guises after breaks to work abroad, complete her MSc, and go travelling around Europe. Whatever her role has been, she has always shown an infectious passion for ospreys and wildlife, and inspired, quite literally, tens of thousands of visitors to support our work. All the staff and volunteers at the project wish Christina and Mark the very best wishes for their future life together. Lake District Osprey Project; 8A Re-appears. Like the Phoenix rising from the ashes, 8A has returned to us from a hot desert. We received a satellite download early this morning – yes it was a technical fault, well out of our control – Our bird over the last week has put on another thousand miles and probably lost a bit of weight in the process. He spent Sunday afternoon, yesterday, following the west african coast southwards towards Nouakchott, Mauritania (another old friend returns) an area well supported with fish. The record shows that over the last week he has spent at least three nights roosting in the desert, a bit different from Bassenthwaite. For those with a geography bent the record restarts south of Rabat in Morrocco, follows the river systems and mountains to Quarzatzate, Morrocco, then into the desert north of Tindouf, Algeria. He then crossed a section of western desert until meeting the sea once again north of Nouakchott, Mauritania. 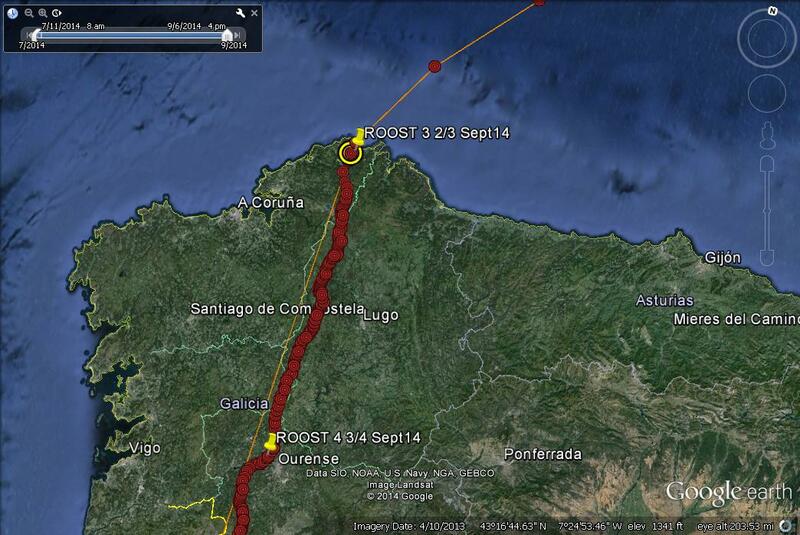 Unfortunately since Sunday 7th September two downloads from the satellite have been missed. We would have expected to receive one on Tuesday and another on Thursday but have not done so. Possible technical problems are being looked into but always in the back of our mind is the figure that only thirty to forty percent of ospreys survive the first year. 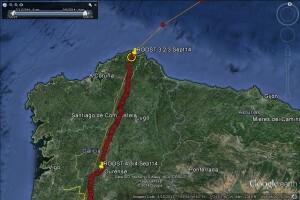 The last record we have so far from 8A is his flight from near Castro Verde to Benafrim which is a distance of approximately 55.51 flying miles (89.36 km). It is interesting to note that he turned away from the first opportunity of crossing to Africa and that he flew over a large lake with possible opportunities to fish before arriving at the last site near Banafrim. The last break in transmission at 1500 was perfectly normal. 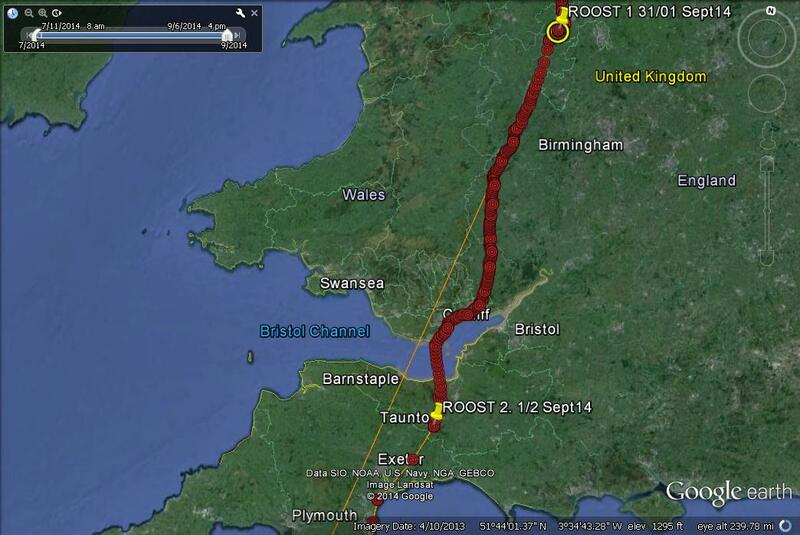 Since leaving Bassenthwaite almost a week earlier he had flown over twelve hundred miles ( approx 2075 km). 8A Migration Review Day 6. Leira to Castro Verde, Portugal. 154.40 miles, 248.48 km. 8A Migration Review Day 5. 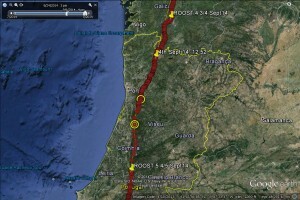 Ourense, north west Spain to Leira, Portugal. 170 miles (direct) 270 km. 8A Migration Review Day 4. Northern Spain to Ourense. 95.96 miles, 154.4 km. 8A Migration Review Day 3. 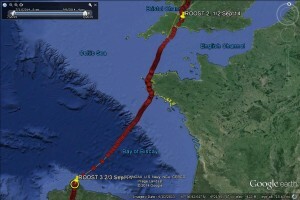 Somerset to northern Spain via The English Channel and the Bay of Biscay. 546.02 miles (direct) 878.73 km. 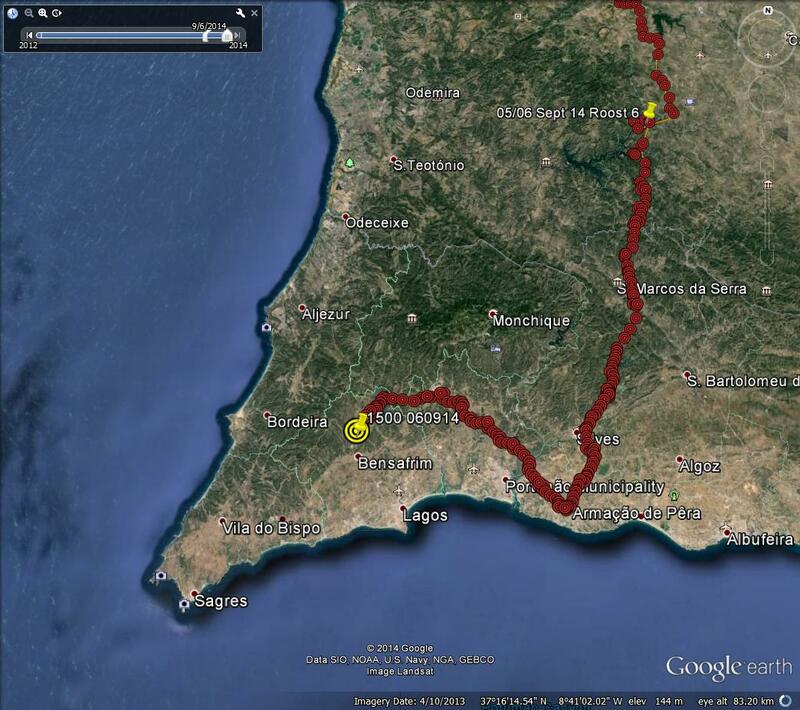 Left Somerset early morning, reached Spain midnight. 8A Migration Review Day 2. 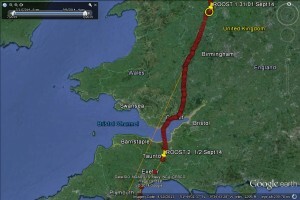 Cheshire to Somerset via Cardiff, 144.64 miles, 232.77 km.